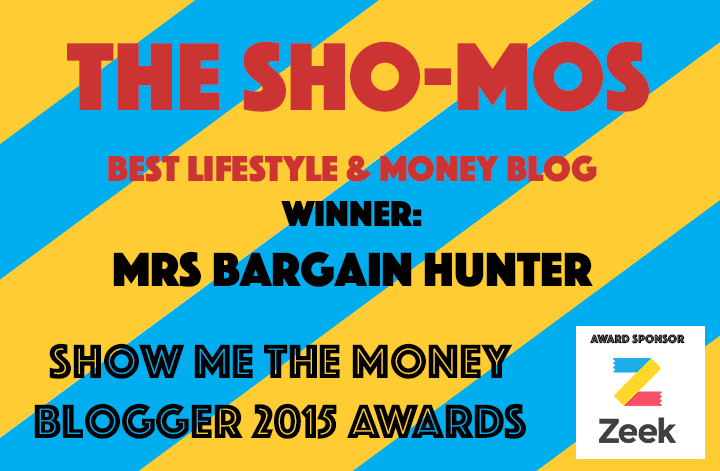 I have an iPhone and quite a few apps running on it, but I’m always looking out for more and thought I’d do a round up of some cool money saving and bargain hunting apps. 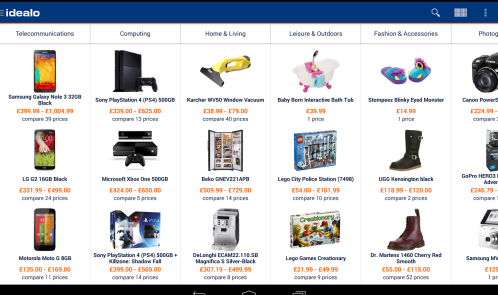 Barcode scanner – swipe the barcodes of items they seen out and about and immediately compare online prices. 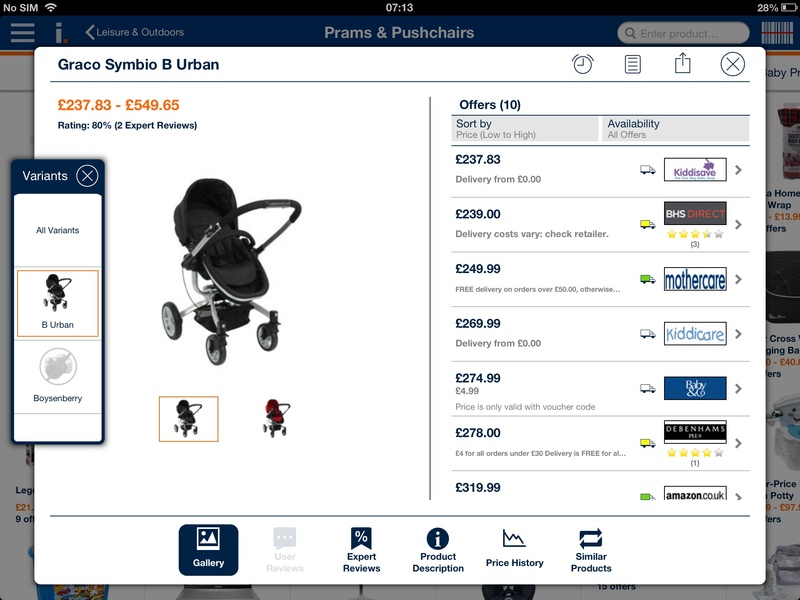 Pricewatcher feature which enables shoppers to enter their target price for a particular item, and receive an email notification when the product reaches the desired price. Favourites list to easily share popular items with friends and family. 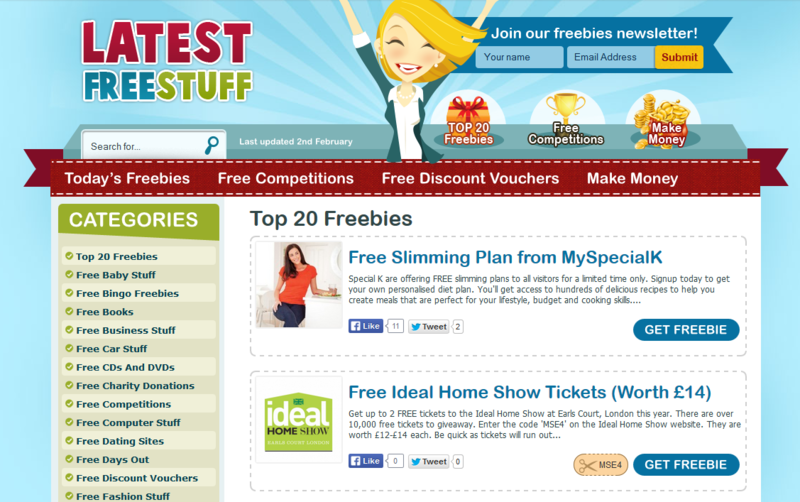 LatestFreeStuff lets you order freebies and free samples directly from your smartphone. They have over 300+ offers. You can get everything from free beauty products to free food and drink. 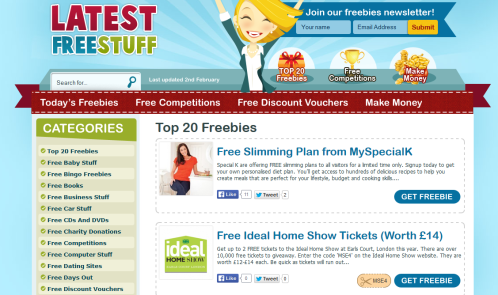 They have a handy newsletter and top 20 freebies, which have included this week: free cook book and personalised apron, free breakfast sizzler at a Chiquito restaurant, free Ideal Home Show tickets and a free First World World War Experienced booklet and a Hugo Boss Jour perfume sample, Note that by giving your details, you are sometimes signed up for newsletters, but of course can easily unsubscribe or opt out when giving your contact details. 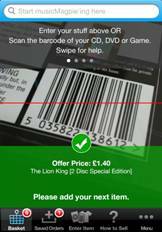 The musicMagpie app allows you to scan in DVDs, CDs, games, the make and model of your tech and electronics, or the brand/type of garment of clothes you want to sell into a Valuation Engine which in turn will tell you how much it is worth all on your iPhone or Android mobile. You then choose how you would like to get paid – either by bank transfer, cheque, e-vouchers or donating your money to charity. Then you place all your items into one box before a courier comes and picks them up from your front door for free! To compare to eBay – eBay only allows you to do one item at a time, before then waiting for an offer from a bidder. musicMagpie guarantees you a price on every item. Also, the app is completely free, including use of the service, postage, and a free courier service. The only work you have to do is to place all items into a box and choose your method of payment! The app has been in the news quite a bit, so I thought I’d take a look. 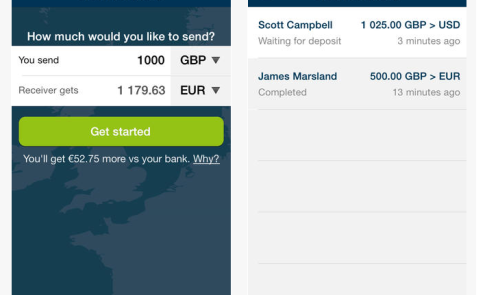 It claims to be a fast, free and easy-to-use, peer-to-peer international money transfer tool. Banks charge huge hidden fees when you transfer money abroad – up to 5% – so a portable solution that charges just 0.5% really helps to save on unnecessary fees. 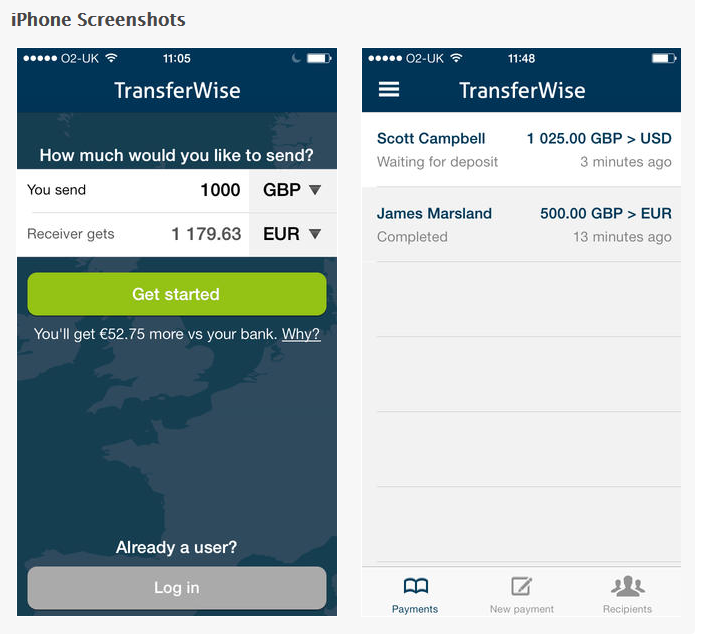 TranferWise’s app allows you to simply set up a currency, enter contact or payment details, and tap in the amount you want to transfer. The users will receive a final notification when the payment is complete. In terms of credentials, TransferWise is registered with the UK Financial Conduct Authority (FCA) as a fully authorised payments institution. This gives them a full license for collecting money and for making international payments. The company uses trusted European banks for holding deposits and keep customer’s money separately from its operational bank accounts. Heading to the Big Smoke, then you need YPlan. It’s a spontaneous going out app which lets you book tickets to London’s best attractions in two taps. YPlan works with over 550 venues in London to give users access to last minute deals which means discounts of up to 40%. It sits right alongside a series of apps such as Hotel Tonight and Table Pouncer which all offer significant discounts for last minute bookings.With a list of up to 15 events, available for that night and up to a week in advance, YPlan gives you ideas for activities at a great price. The free iOS app allows users to browse for upcoming gigs, food tastings, theatre shows and gallery exhibitions, meaning they can book tickets to some of the capitals’ best attractions in just two taps. Last minute bookings are often available with exclusive ticket savings and YPlan’s unique relationship with some of London’s best events institutions means users have access to tickets they wouldn’t be able to get anywhere else. Hello! I wanted to put a new service on your radar called ReLIKE. 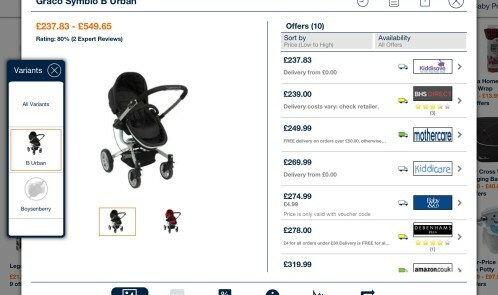 It’s a website for parents to sell on bundles of baby/children’s outgrown clothes to other parents, without leaving home as couriers collect and deliver. Listing a bundle is free. All bundles that sell earn you £5 credits and you can put it towards your own bundle or you can sell 2 and redeem your £10 credit as Amazon vouchers. It;s about saving money on kid’s clothes, recouping money and therefore having more to spend on more fun things in life!